Welcome to Vektor Alliance. We are a full service printing company offering a full range of printed products. We strive to offer outstanding quality, quick turn around and excellent service. We can handle any print project! We make it easy by handling all your printing needs. While most companies only offer certain types of printing or promo products we offer everything you could ever need. From business cards, catalogs, shirts and trade show booths and everything in between, we have you covered. Explore this website to see a lot of what we offer but please contact us if you have something in mind as there are so many custom items in printing, we can’t possibly list everything. If you don’t know what you want, we are happy to help you come up with the perfect solution to your printing and promo needs. Contact us today for a quote! We use the latest state of the art equipment to handle your printing including Heidelberg and Komori presses. We can get to your locations fast! With facilities in CA, OH, NJ, FL, TX, IL and AZ we can handle your multiple location projects with ease. 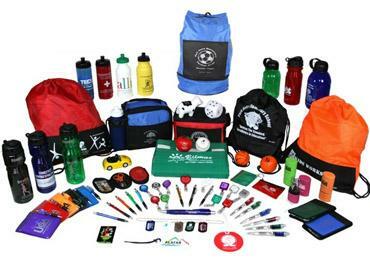 There are millions of promotional items to give away to customers and at trade shows. We can help with ideas that get your products in front of the right people. It is important to give the right items away and we can help you with ideas to make sure the customer wants your promo giveaway and will keep it so your company is always in front of them. Please call, email or click MESSAGE US below and we will respond shortly.